Home Other news Respect the citizens’ vote! Were the elections only a charade? If the European Commission presidency is agreed upon in a backdoor deal, democracy will have been harshly violated. Only two days after the European elections, the 28 heads of state and government will meet in Brussels for an informal dinner. It is not unlikely that they will also debate who should become the president of the European Commission. After all, according to the Lisbon Treaty, it is up to the European Council, the national governments, to nominate a candidate to the European Parliament. Although they need to take the elections ‘into account’, it is clear that some interpret this as ‘taking note of the elections, but going ahead and picking someone that all of the 28 governments can live with’. But this would be deeply undemocratic: in a democracy, it is the citizens who decide, directly or indirectly, who should govern them! The candidates for the next European Commission president understand that. But the problem is this: within the European Council, there are some who would prefer to agree on the next president in a backdoor deal – or over dinner. Herman Van Rompuy has recently suggested that citizens know that it is not the European Parliament, but the heads of state, who ‘really decide’ who will become the president of the European Commission. I could not disagree more. 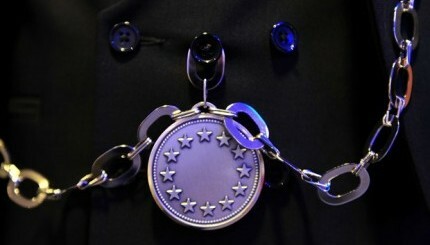 It is doubtful that citizens are aware of the institutional intricacies of the European Union. But every citizen of a democracy has an intuitive understanding of a basic democratic principle: that it is the people who choose their government. Elections matter because they determine who should govern – and, importantly, who should step down. Unfortunately, some governments share President Van Rompuy’s narrow, legalistic interpretation – one that is not in line with the spirit of the Lisbon Treaty. The German chancellor has pointed out that there is no ‘automatism’ between the European elections and who will become Commission president. Ms. Merkel is right, of course: the political groups in Parliament will now have to try and form a coalition and find a majority to support their candidate – this may or may not be a majority for the candidate of the leading party. In any case, the majority candidate should be the first to try and form a coalition, and it is one of the candidates who should become the next Commission president. But if the chancellor is suggesting that there are other equally important factors, apart from the result of the elections, that the 28 governments need to take into account, this would come as a surprise – especially to her electorate. After all, it is not gender, place of birth, or sympathy that is the determining factor behind who becomes the German chancellor. 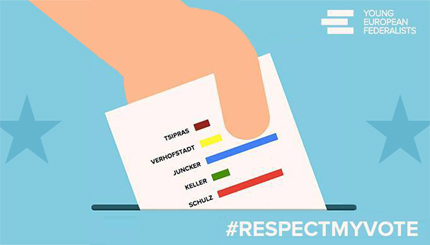 It is the vote of German citizens. And it is not the prime ministers of the 16 German Bundesländer who pick a chancellor after the general elections, but the Bundestag, which represents the country’s citizens. This is good for the chancellor and good for democracy: If it had been up to the 16 regions to decide, Ms. Merkel might not have found the majority she needed to stay in power. A plausible objection could be that whereas Germany is a democracy, the European Union does not yet have a constitution in place that would provide for a democratic link between the people and their government. Not only would this argument be a slap in the face for efforts to democratize the EU; it would also contradict democratic practice in Europe. In the United Kingdom, the birthplace of parliamentary democracy, it is the Queen who proposes a Prime Minister to the House of Commons. She has to take the general elections into account, but in a strict, legal sense, there is nothing in the letter of law that requires her to propose a majority candidate. These are striking parallels to the Lisbon Treaty. The Queen could have proposed a Labour candidate and not Mr. Cameron after the last elections (it is therefore ironic to see that the British prime minister is among those who are skeptical towards the new selection procedure). The Queen did not, of course, because there was no majority for Labour, but more importantly because it would simply have been a scandal. In so doing, the Queen would have ignored the will of the people and violated a democratic convention. In the same vein, it would be a violation of a democratic principle if the European Council were to ignore the will of European citizens. Were the elections only a charade? Van Rompuy, Merkel and Cameron are probably not the only skeptics. Why is it that some do not acknowledge this fundamental principle? Is it because they are starting to realize that the Lisbon Treaty has strengthened the voice of citizens and their representatives in the European Parliament – and they now want to claw back their power? Or is it because they do not have the foresight and courage to understand that democracy can work beyond the level of the nation-state? Whatever their reasons, if governments decide to go against the spirit of the Lisbon Treaty in the coming weeks, they risk more resignation amongst citizens and an even lower turnout in the next elections. National governments may be causing it, but all that ordinary citizens see is that ‘Europe’ or ‘the EU’ is making fools of them. They were told that ‘this time, it’s different’ and they watched the candidates’ TV debates – only to see that the elections were a charade? At a time when trust in European institutions is waning and the democratic model is contested by extremists in Europe and autocrats all over the world, European leaders have a unique opportunity. Only if they have the vision and courage to support a European democracy now will they rally the support of citizens that Europe needs in order to be successful in the 21st century. 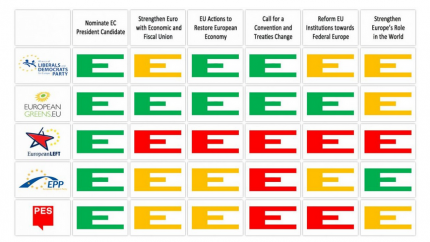 In the coming weeks, democrats in all parties should support the European Parliament in its negotiations with the European Council – and call on their government to respect their vote.